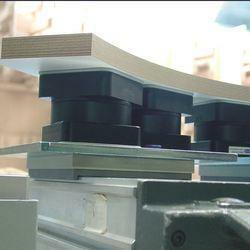 Pioneers in the industry, we offer vcbl vacuum blocks and vacuum blocks from India. The VCBL-GL vacuum block has impressively high absorption force - which allows the material to be held securely and handled gently and is equally effective on the dry and moist glass. 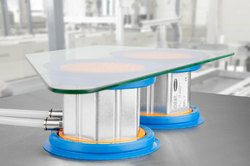 Vacuum Blocks¿¿for grid tables enable simple and flexible use without complex installation. The non-slip fixings enable secure clamping of the workpieces even with high processing forces. This makes them ideal for complex five-axis applications without a wear plate. Looking for Vacuum Blocks ?